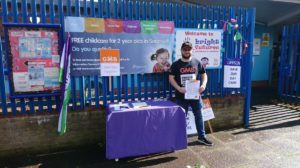 Over the past 7 months GMB has been campaigning to save a local nursery. 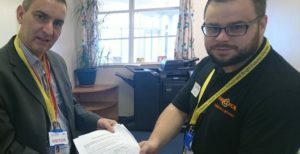 Due to budget cuts, Hateley Heath Primary School were put in a position where they felt that they couldn’t afford to keep the Bright Futures Day Care provision running and announced plans to close the provision altogether. By working closely with the residents, parents and the local community who use the nursery and our members, along with the school, local councillors, and the Local Authority, a petition with over 150 signatures was presented to the Local Authority asking for this provision to be saved. Whilst we were unable to keep the nursery under Local Authority control, we are pleased that the provision will remain rather than close completely. A tender has been put out and a new provider will be taking over shortly. We look forward to working with the provider to ensure that our members are protected at work and this vital nursery is able to continue to serve the local community.